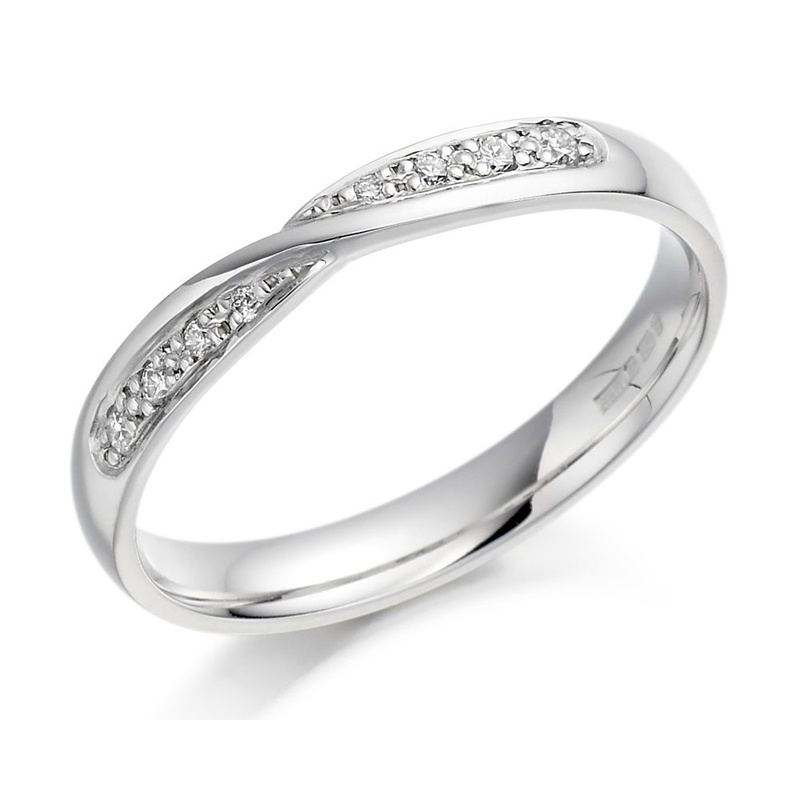 A simply gorgeous diamond set 18ct white gold ring. 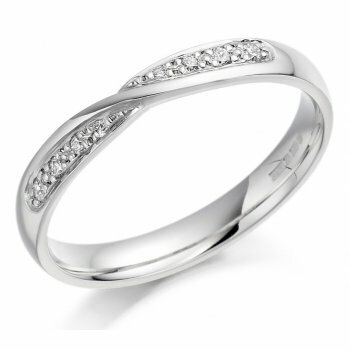 This beautiful ring has a cross over or twist detail with sparkling diamonds graduated either side. The round brilliant cut diamonds are set in an eye catching pave style setting. A timeless ring that works perfectly on its own or teamed with an engagement ring.